With 2015 in the books, it's time to take a look at the highlights and lowlights of this calendar year in the MLB. 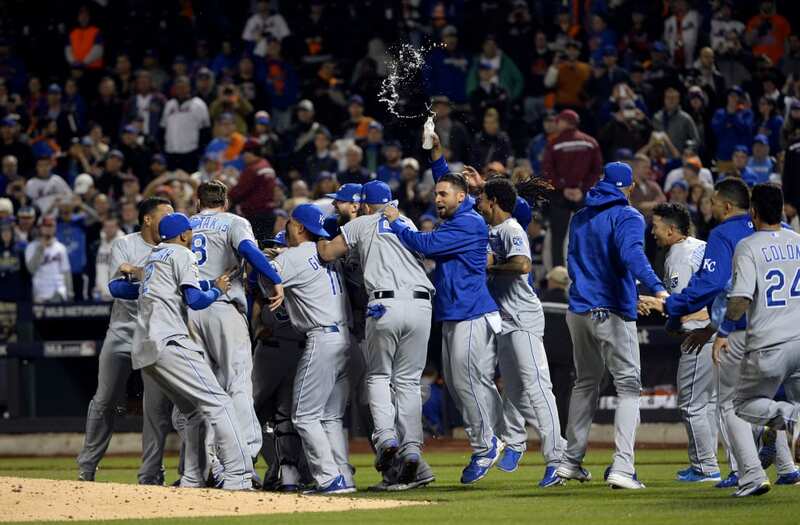 The Kansas City Royals gave us one of the more spirited World Series runs in recent history, while the New York Mets and Chicago Cubs in the National League put together incredible, unlikely storybook campaigns. Below, we recap the most memorable happenings of the year in baseball. In a decisive Game 5 of the ALDS, the Toronto Blue Jays and Texas Rangers were knotted 2-2 in the seventh inning. However, a routine play went awry and a bizarre call cost the Blue Jays the lead, causing the crowd to throw beer and garbage onto the field. Once the mess was cleaned and order was somewhat restored, slugger Jose Bautista launched a towering home run to deep left that sent the baseball world -- and Twitter, more specifically -- ablaze with the infamous 'Bat Flip Heard 'Round the World. No other moment caused an entire sports' fan base to drop their jaws and scramble to see the highlight. Not even the Royals winning the World Series, Max Scherzer's two no-hitters or Wilmer Flores' sob show (more on that later). The Houston Astros came out of nowhere (well, actually, they came from baseball's basement) to contend for an American League pennant. The club had lost 416 games over the previous four seasons and hadn't made the postseason since it fell in the World Series in 2005. Thanks to Cy Young winner Dallas Keuchel, budding superstars Jose Altuve and Carlos Correa and a balanced offensive attack, the Astros finished 86-76 and knocked off the Yankees in the AL Wild Card game before getting bounced in five games by the Kansas City Royals in the ALDS. They enter 2016 with 18/1 odds of winning the World Series. The St. Louis Cardinals found a way to squander an opportunity to capitalize on their brilliant 100-62 campaign, falling to the Chicago Cubs in four games in the NLDS. They had won Game 1, but then handed over the next three. 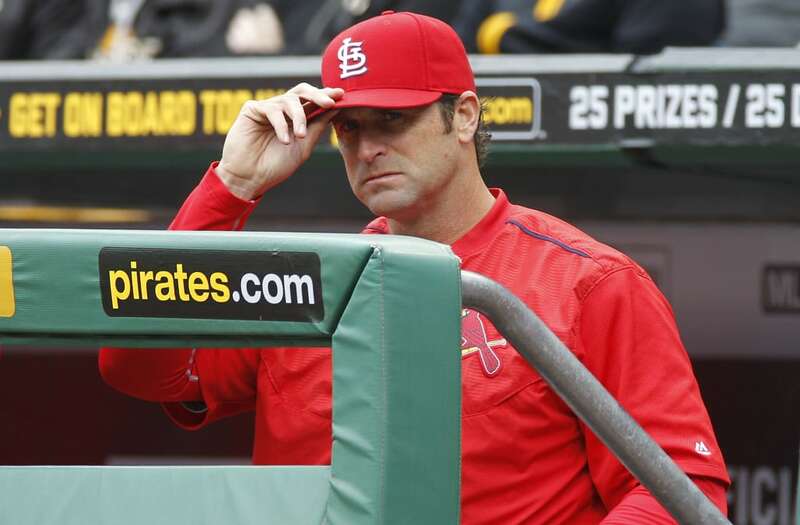 The Cardinals, without Yadier Molina, failed to advance in the postseason after winning at least one series the previous four years. They were the most consistent squad all year -– and looked nothing like it in the playoffs. Is there any other choice? The Washington Nationals. The team that entered 2015 with the reigning Manager of the Year, one of the best young players in baseball in Bryce Harper, and a rotation that some called the best of all-time fell flat on its face all year long. Washington managed to take over first place in the NL East for a couple of months over the summer while the Mets were struggling to score two runs a game. But when New York brought Yoenis Cespedes over from Detroit, they moved into a tie for first just days later -- and they'd never look back. A team with as much talent finished just four games over .500. That's a disgrace. Tough to measure, but probably true. Was there a more important non-baseball moment for any team this season? When Wilmer Flores began crying on the field, thinking he'd been traded to Milwaukee, the Mets were three games over .500 at 52-49, two games back of Washington for first place in the East. Then, the entire season changed. Flores remained a Met after the trade fell through, hit a walk-off home run two games later, and Yoenis Cespedes arrived in time to supply one of the biggest second-half lifts any player ever has. New York went 38-23 over the remaining two months before riding momentum all the way to the World Series. Spoiler alert: It didn't matter. Even though they've yet to be worn, the Padres unveiled a revival of their classic brown jerseys earlier this month, to be worn during Friday home games in 2016. And we can't wait to see them on the field. 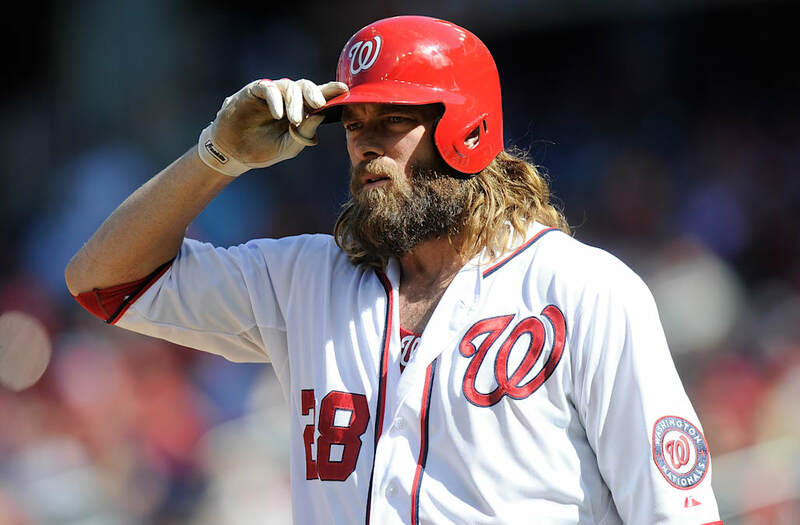 We've covered how brutal this season was for the Washington Nationals, and one of the major reasons why was 36-year-old Jayson Werth. Playing in just 88 games this year -- and making $21 million -- Werth batted just .221 with a miserable .302 on-base percentage. Defensively, he was miserable still, posting a defensive runs saved metric of -11. Enjoy two more years of that, Washington. The resilient Kansas City Royals. All of them. There wasn't one MVP candidate to be found, but together they punctuated a remarkable run. Series MVP Salvador Perez and the Royals became the first team since the 2002 Angels to come from behind in all four World Series wins, according to STATS. That's how they washed out the bitter taste of last year's Game 7 loss to San Francisco at home, an October heartbreak that drove the Royals to their singular focus all season.